As the year draws to a close, it is customary to reflect upon the year’s achievements while considering the opportunities that the following year will bring. For Sage BEC (formerly Sage Roofing) it has been a year of development, bringing in our first £1 million contract, which was followed by another project at £1.2 Million with BAM Construction. Over the course of the year, we have assisted in constructing academies, colleges, schools, leisure facilities, retail units, public infrastructures and private units, to name a few. Our expansive variety of projects shows our diverse experience as an envelope contractor with the capacity to offer services for a whole range of commercial or industrial roofing and cladding projects, specific to the client’s requirements. Work has also expanded progressively in the refurbishment side of the business; picking up several new jobs from private clients and principal contractors alike. We have been able to utilise our expertise in the field to exceed the client’s needs, working around their schedule and providing the quality service that they expect. With over fifteen years experience in commercial and industrial roofing, Sage Roofing is certainly establishing itself as a consistent performer in the field. Below we have identified a selection of projects that Sage Roofing has been integral to over the last twelve months. These consist of working on jobs for varying contractors and clients, across different sectors and based at a range of national locations. Sage Roofing installed the yellow aluminium rainscreen cladding around the entrance of the building (shown above) and the white and grey aluminium rainscreen cladding around the perimeter of Harborne Academy. We were also responsible for the Trocal roofing membrane and Kingspan SFS wall framing system. 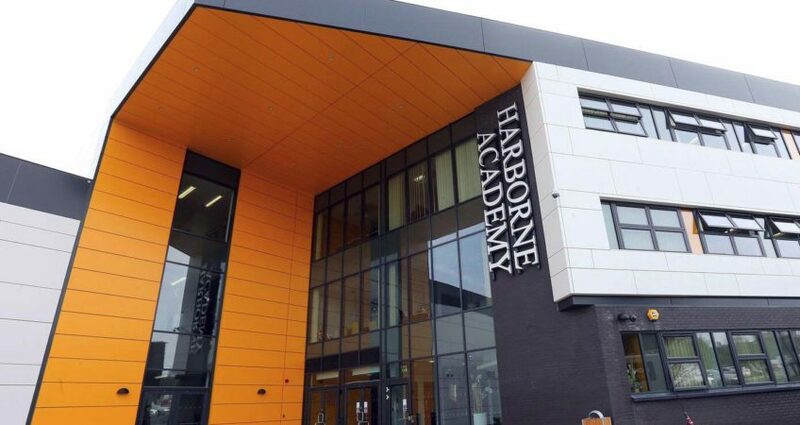 Harborne Academy has been an inaugural milestone for Sage Roofing. After securing the project in 2012 with BAM Construction, it was the first million pound contract that Sage has secured on a single project. We have worked closely with BAM throughout the design elements, as well as the construction of the project to deliver the new build academy. We have now returned for phase two of the project, with our responsibilities on the job looking set to be completed early in 2014. The Parkgate Retail facility in Shirley is a huge redevelopment project which incorporates retail and residential development with the existing infrastructure of the area. It will bring around 20 new shops to the area including a new Asda Superstore, which Sage Roofing is directly working on. Following our successful acquisition of Harborne Academy, Sage Roofing also secured the roofing and cladding work for Parkgate development in Shirley. 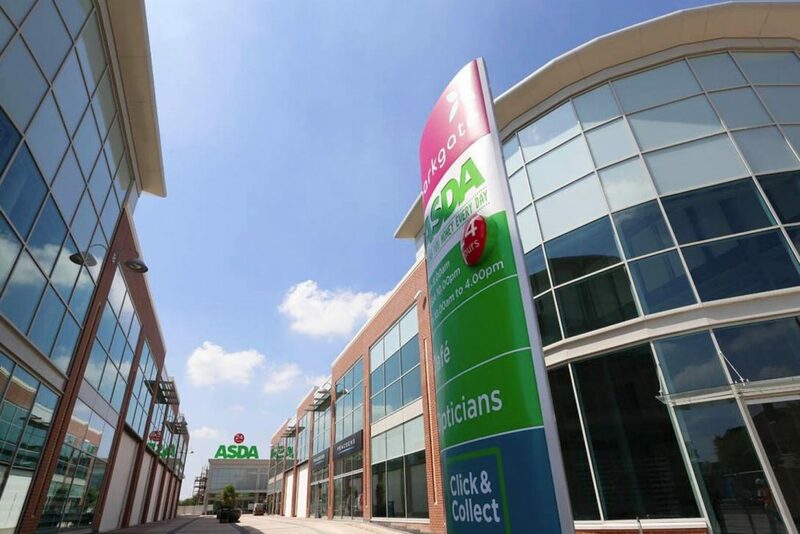 This included a 100,000ft new ASDA unit, as well as new build retail units and extensions to the British Legion building. The project was our second large contract with BAM Construction in the region of £1.2 Million. This indicates our developing relationship with them after showing our credentials for working with projects of this scale at Harborne. The project is set for completion around Easter 2014. Diglis Basin is an ongoing residential housing project we are working on with Taylor Wimpey. The project sits on the beautiful quayside of the river Severn in Worcester; and Sage Roofing have aided in the construction of the fascias, cappings and roofing development for several phases of the project. We are a repeat choice of roofing contractor, and are selected as the choice contractor for Taylor Wimpey on the job. Recently we have secured the latest development phase for roofing and fascia work on unit D1 for the residential complex. To indicate the high level of quality being engaged within the project, it has recently been awarded the NHBC seal of excellence for Quality. For more information on Diglis Basin, you can check out the property website dedicated to it www.digliswater.co.uk. The New Square Car Park is part of the redevelopment of West Bromwich town centre which include a new retail area and Tesco Extra store. The New Square Car Park proposed a different type of opportunity in 2013 for Sage Roofing. The multi-storey car park comprised of the installation of anodised stainless mesh around the peripherals of the unit, structural mullions and multifaceted Trespa cladding on the stairwells. A structure like this varies slightly from Sage’s usual construction. However, the opportunity introduced a new challenge. We applied our industrial knowledge and experience to develop a high standard of structure. This example reinforces our position as a versatile envelope contractor with the ambition to offer an unequivocal standard of service in every aspect of our work. The innovation Centre is part of the Leicester Science Park which also includes the National Space Centre which is directly next to this new building. 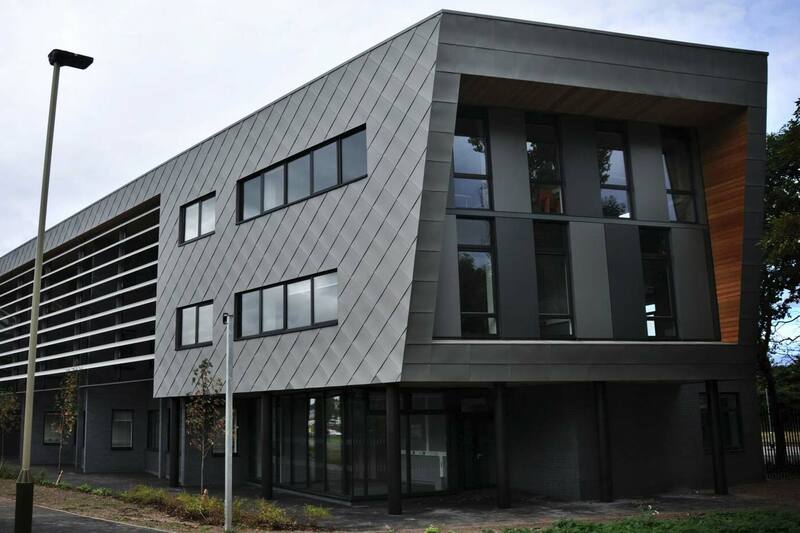 Leicester Science Park was a new build construction for Willmott Dixon with the installation of Zinc shingles rainscreen, larch cladding, rainscreen cladding panels, SFS wall framing system, Kingspan Benchmark and Trocal single-ply roofing. The job was secured in 2012, but the majority of construction was carried out throughout this year and completed in September 2013. The innovation centre incorporates the various forms of cladding mentioned above which have been utilised to form this dynamic contemporary building. The above image illustrates where the additional departure lounge/security hall is being built. This is part of an ongoing redevelopment of East Midlands Airport which will enable it to offer increased volumes of air transportation in the future. As air transportation becomes more populated, national resources are being expanded and East Midlands Airport is a prime example of this growth. 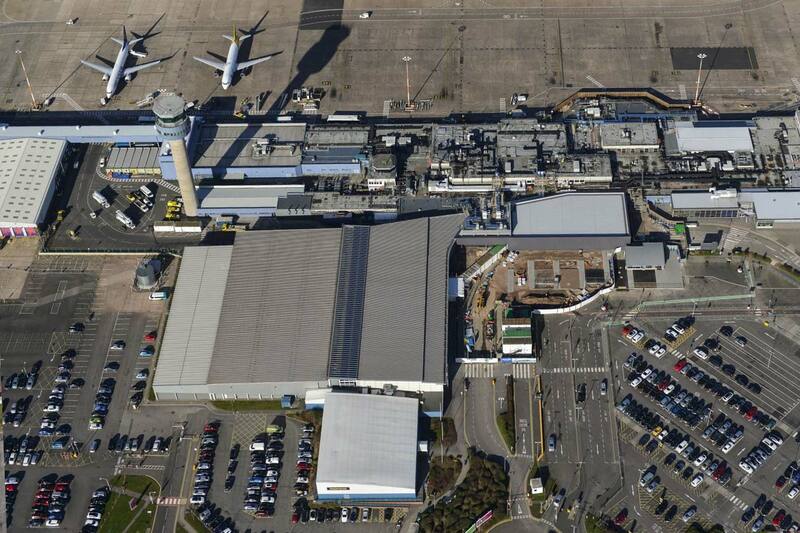 BAM Construction secured the £12 million project for redeveloping the departure lounge, security hall and queuing area for the airport and Sage Roofing became designated contractors for the roofing and cladding on the project. The materials include Trimo QBISS wall panels, steel decking, Trocal membrane and integration works to the existing roof on the main building. An example like this allows us to use our strengths on new build and refurbishment work in combination to great effect. If you are going to be flying from East Midlands Airport for your summer holidays in 2014, our work would be very difficult to miss at the airport. If you would like any further information on these or similar projects on a professional level, then you are welcome to get in touch with us and we can supply relevant project information and references. What Does 2014 have to offer? As we summarise the year which has passed, we also anticipate the year ahead of us. It is set to become one of development and adaptation for the whole industry as the BIM Model is set to be formally introduced in 2016 by the government. This means that all sectors of the construction industry will start to change their method of working and Sage Roofing will be no exception. The adaptation will be gradual to ensure a seamless transition and ensure a smooth coalition with other trades and sectors. There are many positives to the proposed changes, but it requires co-operation from all areas to become a successful adaptation, and Sage advocates these changes to ensure the future prosperity of the industry (more on BIM next year). We would like to take this opportunity to thank those we have worked closely with over the last year and we look forward to working alongside familiar and fresh faces alike in 2014. We wish a very Merry Christmas and a Happy New Year to all. Contact Sage BEC, a great choice of commercial or industrial roofing contractor for your next project. Sage Roofing Has A New Name! We are a multi disciplined specialist roofing, cladding and rainscreen contractor with expertise in new build and refurbishment projects strategically placed in the West Midlands. Formerly Sage Roofing.